Czechs Tomas Berdych and Jan Hajek defeated top seeds Alexander Peya and Bruno Soares 6-2, 6-4 on Friday to capture the Qatar ExxonMobil Open doubles title. Berdych and Hajek split $60,400 in prize money and earn 250 Emirates ATP Doubles Rankings points, while Peya and Soares share $31,750 and 150 points. Berdych and Hajek lost just six of their service points in the 31-minute first set, when they saved all four break points they faced. They took a 3-0 lead in the second set and completed victory in 71 minutes. Berdych lifted his first ATP World Tour team trophy with Dmitry Tursunov at the 2008 ABN AMRO World Tennis Tournament in Rotterdam, while Hajek partnered with Jaroslav Levinsky to win the 2007 Munich final – his lone title match. Peya and Soares, currently No. 2 in the Emirates ATP Doubles Team Rankings, won five titles in 2013. They were bidding to capture their ninth team crown. combo-image: Tomas Berdych and Jan Hajek defeated top seeds Alexander Peya and Bruno Soares 6-2, 6-4 on Friday to capture the Qatar ExxonMobil Open doubles title. Tomas Berdych winning an ATP title in the first week of the new tennis season is a good sign, isn't it? Except that the title came in doubles and not in singles - at the ATP Qatar ExxonMobil Open in Doha on Friday. 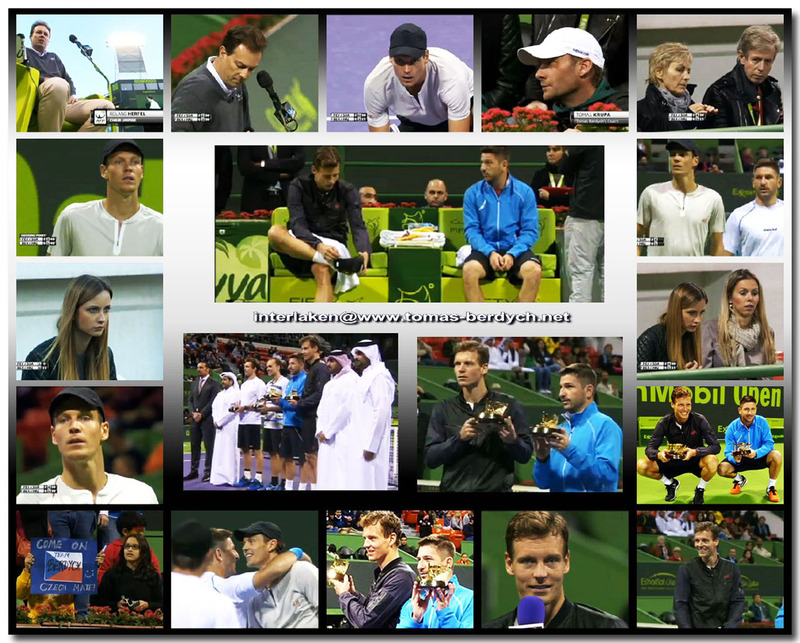 Berdych, the world no. 7 in doubles, and fellow Czech Jan Hajek upset top seeds Alexander Peya and Bruno Soares 6-2, 6-4 to win the title.It was the second ATP title for both players - their first as a team together. Berdych lost earlier in the week in the singles draw in Doha, going down to Ivo Karlovic.